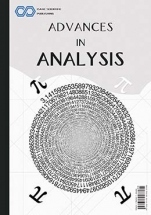 Advances in Analysis provides a medium of exchange for the diverse disciplines utilizing analysis as either a theoretical or working tool. While the unifying aspect of the journal was its adherence to analysis, it seeks diversity by being concerned with a variety of disciplines, including Chemistry, Business, Economics, Computer Science, Intelligence, Engineering, Mathematics and other sciences. Both theoretical and applied works which employ analysis are considered for publication.